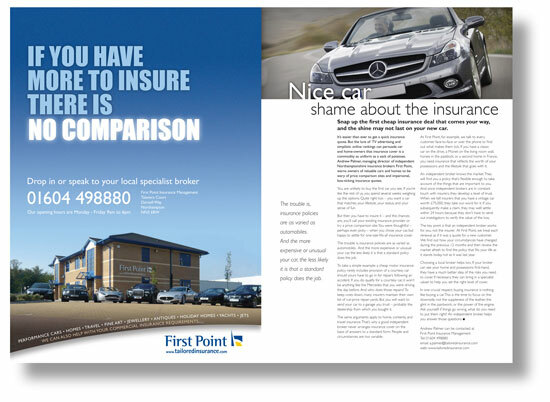 When independent insurance broker, First Point, had the chance to place a double-page spread in a Mercedes magazine (verso, advert; recto, advertorial), they needed a story that would stand out. So we went in with an arresting headline that would resonate with the readership. Just 20 minutes on the phone with the MD was enough for us to pull out the facts that brought the story to life. 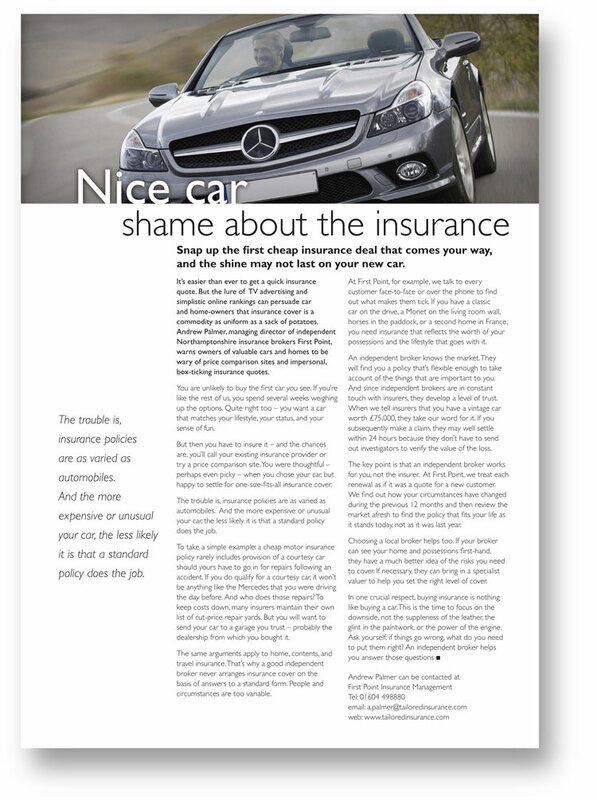 Our copy is on the right in the spread immediately above; text on the other page comes from the client.